The Witches of Oz isn't really very good and for that reason I have only given it 2 stars. The idea behind this story is very interesting, it explores what happens to Dorothy Gale after she leaves Oz. She gradually forgets what happened to her until she becomes an adult. As the memories return she writes and publishes them as popular children's stories, not realising that they are actually real until people from Oz begin to appear. As she moves to New York to sign a book deal she is forced to come to terms with her past. This all sounds great on paper, like it would make for a great watch, but unfortunately this is not the case. The Witches of Oz is a TV mini series, filmed in two parts and boasts the kind of appalling special effects/ graphics that one would expect from a mid nineties computer game - great at the time, not so good these days (we immediately compared it to Myst). It also has a rather startling all-star cast including Sean Astin and Billy Boyd (Lord of the Rings), Lance Henriksen (Aliens/ AVP) and Christopher Lloyd (Back to the Future/ The Addams Family). All of these are well respected actors, and all perform admirably, but mixed in with everything else their efforts somewhat lose their edge. The series also stars Paulie Rojas as Dorothy, she seems to somehow fluctuate between too much acting and not enough. The series was written and directed by Leigh Scott (The Dunwich horror). The story is also wildly implausible, even given that it is a sequel to the Wizard of Oz this is more bizarre than strictly necessary. Don't get me wrong however, it is ideal for kids, brightly coloured, mostly cheerful and with just the right amount of scare factor to entertain youngsters. The low star rating may seem harsh, but this just doesn't really work, hard to pin down exactly why, too silly, too long, poorly written script, probably all of the above. If you have children then they may very well enjoy watching this, but don't expect great things and don't be fooled by over effusive synopsis, it is ultimately quite disappointing. 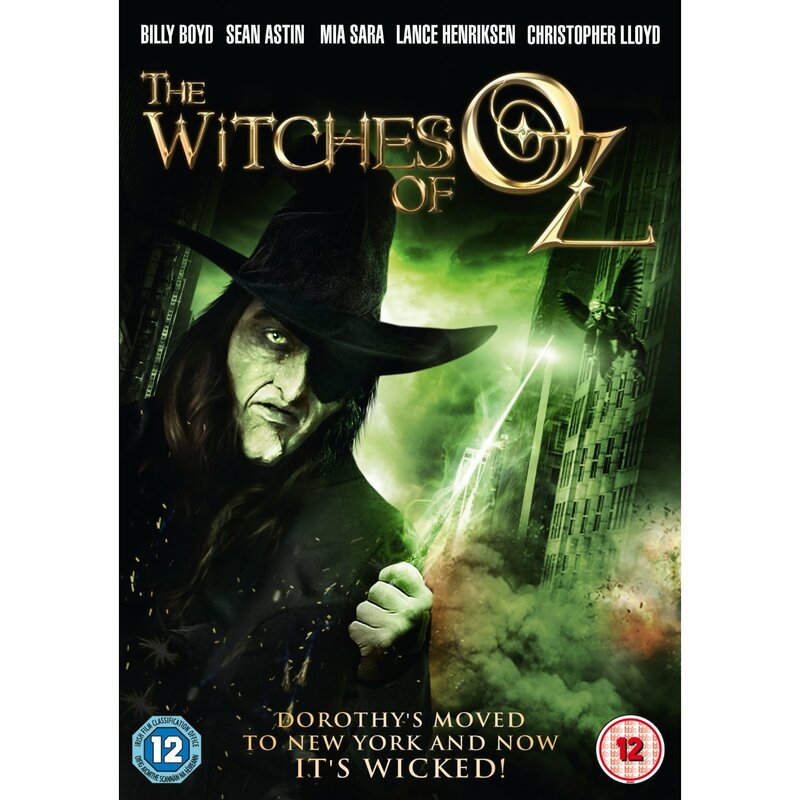 The Witches of Oz will be available on DVD from August 8, 2011.